Join programming expert Jordan Hudgens for an introduction to the Ruby programming language. 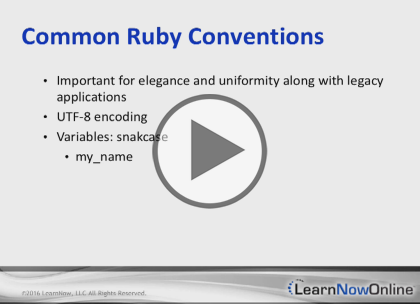 In this course, he will demonstrate what makes Ruby unique as a language and how it can be leveraged to build robust applications. Hudgens will also provide a step-by-step guide on how to install Ruby on various operating systems as well teach you best practices to ensure that you are building programs that fall within guidelines of the wider Ruby development community.